Enjoy casual country elegance in this 200 year old farmhouse located just east of Carlisle. This AAA approved property has 7 guestrooms, all with private bath. The 10 acre property, with a pond and gardens, is a perfect location for a storybook wedding. 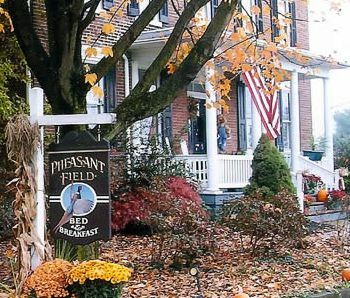 The B&B is pet-friendly and provides overnight horse boarding for folks traveling with their equine friends.